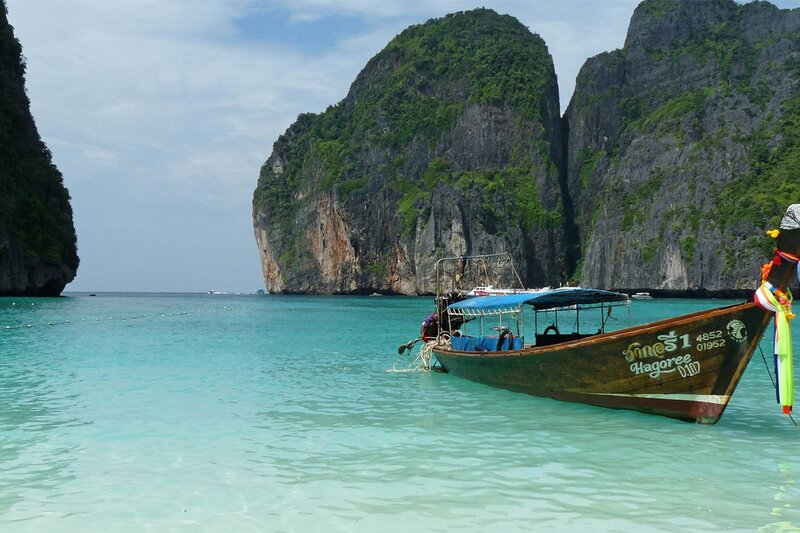 The pristine beaches and limestone karsts are what make southern Thailand such a popular tourist destination. However, this region has more to offer than beautiful turquoise waters. Here, friendly farmers and Muslim fisherfolk will welcome you with the warm hospitality of the south. Nature is bountiful and well preserved in the national parks and forests. Mangroves provide natural protection to the shoreline and is a habitat for marine creatures and migrating wildlife. On this tour, we will see the significance this type of vegetation has to the biodiversity of this region of Thailand. Exploring the farms of the lesser known side of Phuket with our bikes provides an insight into life on the resort island. We venture across Phang Nga Bay by boat and use our bicycles to explore the paradise island of Yao Noi where peaceful and simple way of living is the charm of the rural side of southern Thailand. See fishermen repairing nets, water buffaloes in the rice fields, smiling and waving kids playing. From peaceful Yao Noi island we boat through stunning kartss jutting out of the water back to the mainland. Cycling on backroads we reach a magical mangrove forest, a treat for nature lovers. On an elevated nature trail we walk through this preserved eco system to take a dip into the crystal clear waters fresh from the limestone mountains. Discover the countryside of Phuket cycling along rubber plantations and pineapple fields. Hop on a boat with our bikes to Yao Noi Island where we explore the natural setting of the island on our bikes and appreciate the simple way of life of the locals. Cross the Phang Nga Bay on boat to mainland Krabi. We ride between towering limestone cliffs taking back roads past palm plantations and into the magical mangrove forest. Go for a dip, rest and relax before transferring back to Phuket. Discover the countryside of Phuket on our bikes as we cycle along rubber plantations. Here, traditional way of tapping the trees and hand rolling the rubber into sheets are still common. Phuket is known for its pineapples and we will see fields of this fruit on this part of the island. We cycle through a mangrove forest and if we're lucky, spot tiny crabs crawling out on the roots of these trees. Then hop on a longtail boat with our bikes and join fellow travellers to Yao Noi. On shore, we explore this paradise island cycling through rice paddies and coconut farms and soak in the simplicity of life amidst serene natural setting. The island provides a great vantage point for breathtaking views of the Phang Nga bay. We visit the village where batik is made and get to know the chao lae, local fishermen. In the evening we'll head to the night market and try some local favourites, including roti. We say goodbye to Yao Noi and cross the Phang Nga Bay through karsts back to mainland. Once on land we’ll ride through palm plantations and pineapple fields and we’ll be towered by limestone cliffs as we cycle on back roads. Our destination today is a magical mangrove forest where the water from the limestone mountains meets the sea water. Here, the ecosystem is well preserved and a nature trail leads you through it to a point where you can take a refreshing dip into the crystal clear pool. After lunch we pack up and head back to Phuket, approximately a 2-hour drive.